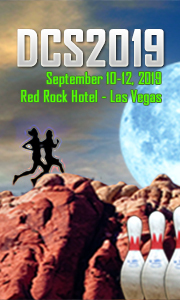 Debt Connection Symposium and Expo 2019 will be returning to the beautiful Red Rock Hotel in Las Vegas, Nevada on September 10-12, 2019. Dennis and Judy Hammond present Debt Connection Symposium and Expo 2019. 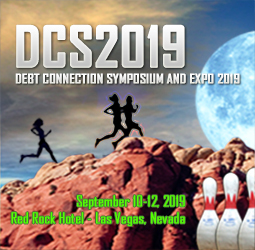 Whether you are a Creditor, Debt Buyer, Collection Agency, Attorney, or Industry Vendor, DCS2019 provides a high-quality conference experience with a solid line-up of educational and networking opportunities. A federal judge approved a settlement Wednesday that erases more than $500 million in student debt held by former ITT Technical Institute students. The settlement also returns $3 million that was paid by students since the company filed for bankruptcy in 2016. The students were represented by the Project on Predatory Student Lending at Harvard University. They alleged that ITT, a since shuttered for-profit institution, violated consumer protection laws, engaged in deceptive recruiting practices and enrolled unqualified students to generate revenue from federal and private student loans. Debt collection may be among the more human and manual labor-intense activities when it comes to managing accounts receivables. Collections departments place calls, scores of them, send emails, and seek to work out payment plans — and very frequently none of the above translates into recovery of monies owed. In fact, that happens only 20 percent of the time, at best. That’s in part tied to legislation that is decades old, such as was passed in 1991, which allows consumers to tell collectors to stop contacting them, and to the traditional methods of collection that are based on phone calls and letters and repetition. Today my office’s seventh annual report is available on our webpage. At the Ombudsman’s Office, we are an independent, impartial, and confidential resource that assists consumers, financial entities, consumer or trade groups, and others in informally resolving process issues with the Bureau. In short, we advocate for fair process in consumer financial protection. Since millennials first started entering the workforce, their spending habits have been blamed for killing off industries ranging from casual restaurant dining to starter houses. However, a new study by the Federal Reserve suggests it might be less about how they are spending their money and more about not having any to spend. A study published this month by Christopher Kurz, Geng Li and Daniel J. Vine found millennials are less financially well-off than members of earlier generations when they were the same ages, with "lower earnings, fewer assets and less wealth." The Senate voted 50-49 to end debate on the nomination of Kathy Kraninger to lead the Bureau of Consumer Financial Protection Thursday, setting up a final vote on the nomination in the coming days. Kraninger was nominated to replace Acting Director Mick Mulvaney, and was approved by the Senate Banking Committee in August. “We thank the Senate for moving closer to confirming a permanent director to lead the Bureau of Consumer Financial Protection, as financial institutions and credit unions deserve consistency at this important agency,” said CUNA President/CEO Jim Nussle. nformation services provider Neustar is acquiring TrustID, a provider of caller authentication and fraud prevention systems for contact centers. Neustar said the acquisition enhances its risk portfolio by adding more inbound call engagement services to its outbound call-engagement products and solutions. The deal is expected to close next month and the financial details weren’t disclosed. Starting this week, Ohio businesses will have a new way to pay their taxes: Bitcoin. The Wall Street Journal reports (via TechCrunch) that the state of Ohio has opened a cryptocurrency portal, ohiocrypto.com, which will allow businesses to pay with the digital currency. The WSJ says that Ohio appears to be the first state to allow people to pay with a cryptocurrency, and that the idea originated with State Treasurer Josh Mandel. The site’s FAQ cites the state’s track record with innovation and says that paying via Bitcoin is instantaneous, secure, and transparent. It also lists 23 different taxes that businesses can pay with Bitcoin, ranging from cigarette and tobacco taxes to fuel and sales taxes. SAN FRANCISCO, Nov. 28, 2018 /PRNewswire/ -- TrueAccord (www.trueaccord.com), the first-of-its-kind tech platform that transforms the antiquated debt recovery industry, announced today that financial industry veteran Sheila Monroe has been named Chief Operating Officer. Monroe joins TrueAccord from Barclays and brings more than 30 years of financial services and collections experience to the leading fintech debt recovery company. The company also announced the appointment of collections law specialist, Kelly Knepper-Stephens as Vice President of Legal and the promotion of Lapis Kim as Vice President of Finance and Analytics.